This post doesn't have anything to do about video production, nor should it. But it has a great deal to do with how life has changed in Orlando over the last four days. That's what happens when a madman filled with nothing but evil and hate comes knocking at your door. 49 souls were taken in the early morning hours of Sunday, June 12th, 2016. They'll never walk our streets again. Their families now will forever be haunted with thoughts of the fear and suffering their loved ones experienced. No one can quantify the impact and effect that evening holds. The impact of the loss is like a spider web...it stretches on forever. Not only were families affected, but co-workers, friends, an LGBT community, first responders, our city and state....and yes our entire nation. We lost 49 lives that touched so many hearts. We lost their talents, their imaginations, their dreams and their wonderment of what tomorrow held. And now that's gone. 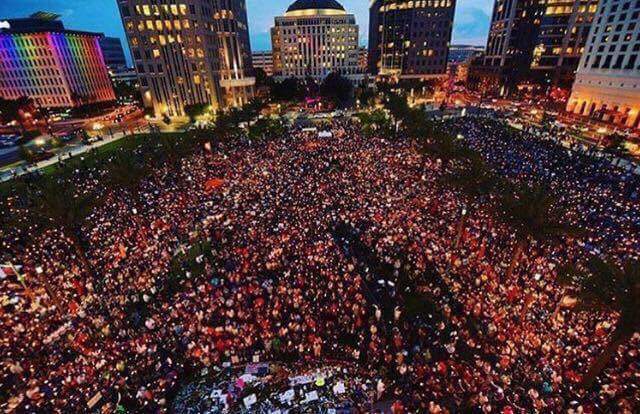 It happened here in Orlando...my hometown. Five decades ago I was born downtown...only blocks away from what has now become the single worst mass shooting in the United States. The world we live in today is a volatile place, there's more threats than ever before. It also seems like there's more hate. Terrorism is very real. Our country is under attack, but that will not stop me from living the life I live. This will only make me more concerned for my neighbor, this will only make me go the extra mile for those who may be in need.